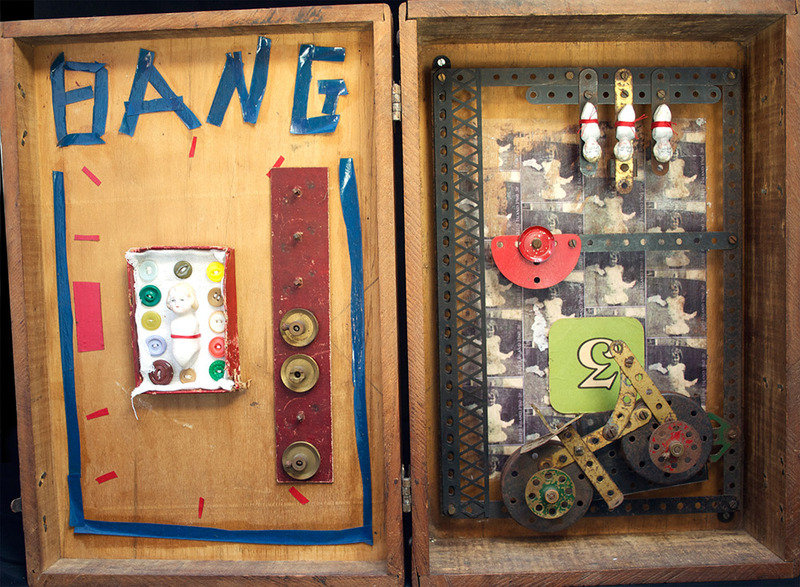 This box was found with the tape attached saying ‘BANG’ and with pirates signs on back – obviously a well treasured child’s secret stash box – or perhaps even an old school case or ‘port’ as we say here in Queensland. My father was a postmaster on Bribie Island in the late 50’s/early 60’s and there were three girls. The silk transfer prints in the background of the box are stamps I made of me standing outside the old Bribie Post Office. This sculpture is currently on exhibition at Rosebed Street Gallery.